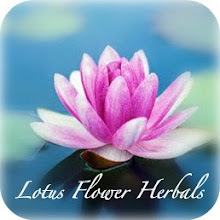 Lotus Flower Herbals: What is Holistic Aromatherapy? Holistic Aromatherapy is a subtle, sensitive therapy with a powerful side, incorporating the use of 100% pure essential oils. Holistic comes from the Greek word 'holos' meaning whole. This means that an holistic aromatherapy treatment works on the whole person, taking into account factors such as their lifestyle, diet, medical history, emotional and mental state, as well as their physical side. It is the fastest stress release therapy there is and is an excellent way of treating minor ailments and negative emotional states as well as being extremely effective as a preventative treatment. An aromatherapy treatment promotes detoxification of the body and with it encourages the natural regenerating and healing process. It is known to strengthen people against dis-ease, to increase stamina and can help with convalescence and recovery. There are many methods of application, the most popular being therapeutic massage. An essential oil blend is mixed in a vegetable base oil such as grapeseed oil. Aromatherapy differs from just a 'scented massage' however. When a therapist uses 100% pure, good quality essential oils and carrier oil it is called a 'treatment'. This implies that the choice of oils has been determined on an individual basis, according to the physical and emotional needs of the client at the time of a visit. Other methods of aromatherapy application include vaporization, inhalations, compresses, and aromatic baths. Essential oils are the solid odorous part of aromatic plants. The odorous part of the plant is in fact a complex mixture of chemical compounds with an individual chemical signature and properties. An essential oil's chemical structure can be identical to that of the plant it is obtained from but in many cases it can be quite different. Changes occur in the extraction process, often while being distilled as this involves heated water and in other instances chemical solvents. The main methods of extraction are distillation, enfleurage, maceration, and volatile solvents. Aromatic plants grow in great numbers but not all of them yield enough essential oils to make it a worthwhile extraction process. Some of them can have a very toxic effect and cannot be used for therapeutic purposes. Holistic aromatherapy treatments, on a regular basis, can keep the body stress free and in harmony which is the first step to good health. Rather than turning to it when you are run-down and drained, it is better to incorporate massage and the use of essential oils into your regular routine, discouraging ill-health in the first place. As Hypocrites, Father of medicine, said 'the way to good health is to have an aromatic bath and scented massage every day'.